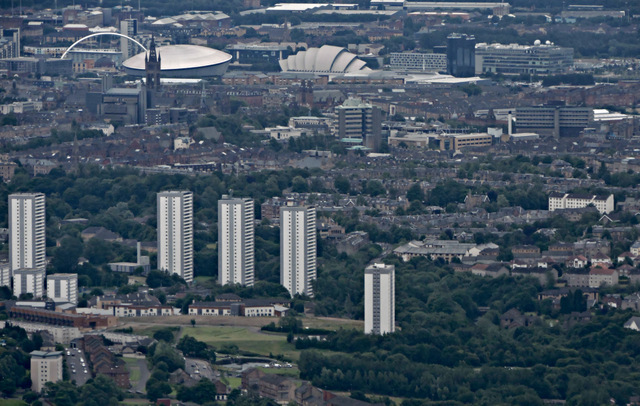 Castlemilk is known as one of Glasgow’s poorest areas, however there is a £14 million housing development on track to complete in 2017 with the architect plans including some forward thinking with accessibility in mind. With the building works nearing completion, it shows the progress the city is making towards affordable housing. The recent proposition follows the local council’s initiative of building 50,000 houses by 2021. With this in mind, the council is also freeing up 16 sites across the city for social homes in the hope of creating £60 million of revenue for the local area. These sites will be in Baillieston, Barlanark, Bridgeton, Castlemilk, Cranhill, Drumchapel, Easterhouse, Kelvinbridge, Milton, Partick, Pollokshaws, Royston, Shettleston, and Springburn. Out of the 130 new houses, 74 of these have been designed to be more accessible, including wider door frames, reinforced walls, stair lifts and downstairs shower rooms within the original plans. This forward-thinking approach has been extended to a two-storey block of 56 flats. These have been purpose-built for older customers with the intention of allowing them to lead more independent and sociable lives by including common rooms and outdoor terraces to encourage natural interaction and fend off the isolation often felt in the older community. This initiative is being spread across Scotland with Dundee recently accepting tenants into 21 project pilot houses with the intention of creating an accessible digital space. By installing free broadband in the flats, it is expected to encourage people, especially the older generation, to go online as many vital services reside only in online facilities. The rise in social inclusion is only heightened by The Royal Institution of British Architects urging that building regulations should include a minimum space standard. They believe that the adaptability of homes is hampered by the lack of space, especially in new builds, and this could be overcome with new legislation. The current standards (61m² of internal floor space and 2m² of storage) are optional for councils and therefore not implemented across the country. With a rise in architects thinking about accessibility and involving it in the planning stages, hopefully more councils and housing developers will take note of this inclusive attitude and will continue to embrace it new developments across the country.